The three wily and beautiful McDougal sisters can swindle a man in less time than it takes to lasso a calf. But their luck is running out, and they’re about to be hauled off to jail. When the wagon carrying them falls under attack, each sister is picked up by a different man. Fortunately for Amelia, she finds herself hanging on for dear life to the dashing figure of Union Captain Morgan Kane. But when she confesses she’s running from the law, he drops her off in Galveston, only to come to her rescue later, in more ways than one. No sooner does Amelia arrive at the Port of Galveston than she falls into the clutches of a shadowy villain intent on selling her to the highest-bidding privateer. 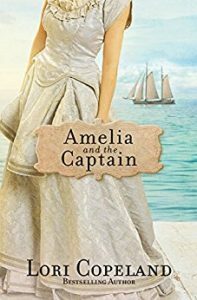 Taken aboard a ship with ten other female captives destined for slavery, can Amelia count on the cunning Captain Kane to swoop in and save her…again? And if she somehow survives, what becomes of her heart? Only God has the answers that Amelia seeks, but is her faith strong enough?